HeadBone happened! This was Tabula Rasa Multidisciplinary Experiment’s first retrospective art opening and performance. Friday, January 26, 2018: We had our first Art and Video Retrospective Opening at 6pm. Preparing for it involved lots of sewing of cloth to paper, as Catherine innovated a scroll technique using cloth sleeves and dowels. At 8pm the performance experiment began. The dancers had invented some new “structures” which we announced to the audience as we had in prior TR’s. Audience seemed to appreciate it, although some found the ideas a little mundane. That’s the thing about structures.. the stucture itself isn’t the poetry. It’s the cookie cutter, the wax mold for the sculpture that will result. This time the musicians circled the space, creating surround sound for the audience. They created beautiful, evocative worlds despite being stuck in the dark the whole night. The dark- that was a mistake. They are all so gorgeous, no one would have wanted them to be invisible. 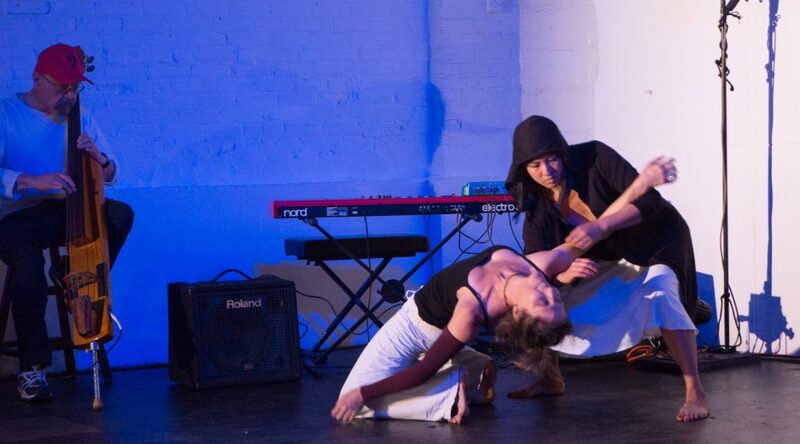 Karen Klein wove words that evoked a wet forest, or a puzzle the dancers fit into, seamlessly. Dancers included Lani Nahele, Carlie Silva, Natalie Eggert, Melissa Olmedo, Catherine Musinsky, Chien Hwe, Emily Jerant-Hendrikson and Sara June. HeadBone 1.6.18 from Catherine Musinsky on Vimeo. 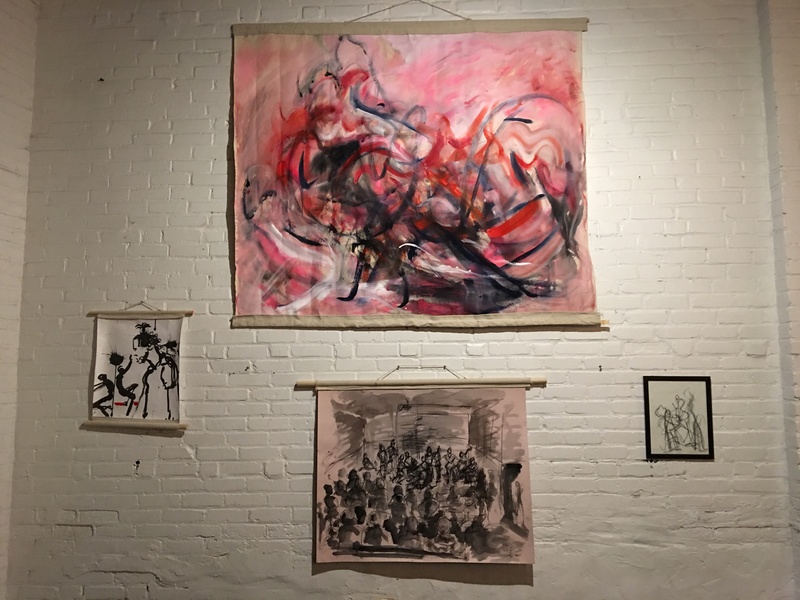 THANK YOU, WAREHOUSE XI and SOMERVILLE ARTS COUNCIL! Previous PostSomerville Journal wrote about usNext PostHeadbone is Coming, this Friday!